Imagine sitting on a chair, you are taking a notes on a piece of paper or in a book with a pen or a pencil and suddenly your pen slipped from your hand and dropped on the floor a few feet away from you and you have picked it up without leaving your chair. Do you think it is possible to pick it up, if the pen is dropped in such a position that you have to leave your chair in order to pick it? For most of us, it is impossible. But, many people claim that they can do this by just using their mind, what they call “Telekinesis”. Telekinesis is the ability of moving things with your mind without any physical touch. The word telekinesis is derived from the words “Tele” which means “far away” and “kinesis” meaning ” a movement”. It sometimes also called as ” Mind over Matter “. The answer to whether telekinesis is possible or not is a mixture of both yes and no. 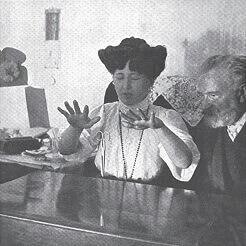 Many psychic persons proved this ability in many experiments conducted by research institutes, but the results proved to be positive only in certain conditions which made skeptics to have disbelief in this ability. But, the research on telekinesis is still going on as well as on other parapsychology subjects. I believe that telekinesis exist, everybody have that ability and can develop those powers with profound telekinesis training. But due to our living standards, we limited ourselves and cease to develop telekinesis. How to do telekinesis ? To develop telekinetic abilities, you need to have a good training backing up with undivided attention and concentration. The only thing stops us to learn telekinesis is our limiting beliefs. Belief and the ability to focus without getting distracted is the main concern in developing telekinesis. For any abilities to learn in psychokinesis, the main criteria required is the ability to focus. So, before learning to develop other psychokinetic abilities, it is better to start with telekinesis which is simple when compared to others. I recommend to read my another article on how to telekinesis before proceeding further. Meditate : Meditate everyday to calm your mind. Calming your mind is the essential step in telekinesis training. Meditation relaxes your mind and improves your concentration and focus. In order to connect your energy with the objects around you, you must have a clear mind. It is better that you master meditation before training in telekinesis. Concentrate : To learn how to concentrate, start staring at any object on the wall for as long as you can without distracting your mind or letting your eyes to look away from the object. Do this until you are able to concentrate for at least 10 minutes. Practice Often: You must practice this very often to get used to it but not daily. It is better to give rest in between days otherwise it will strain you much. Be Patient : Learning telekinesis like any other activity cannot be achieved within few practices. It may take anything from few hours to many years. Most people spend a lot of time in practicing and when they are unsuccessful, they either claim it to be fake or impossible. You must have patience and dedication to successfully achieve moving objects with your mind. Binaural Beats : Certain binaural beats really help you in triggering particular Theta Brainwave activity that correspond to particular consciousness state in which telekinetic and other psychic abilities occur. I recommend you using this technology which set right brainwaves and helps you to learn telekinesis effectively. Believe : The last and most important step is to believe in the possibility and belief in yourself. If you cannot believe that you can do or if you think it is impossible, then you cannot achieve the results. Know that telekinesis is real and you are born with those abilities. Now we move to the actual training of telekinesis and how we can do it. Follow the steps below on daily basis and continue until you see the results. Take an Object : Now you have to get some object which is very light, such as a piece of paper or feather or match sticks. The most common way to start for beginners is with a paper, making a psi wheel. Psi wheel can be made by cutting a square-shaped piece of paper, folding it vertically, horizontally and diagonally. Now, place this paper on a needle attached to any stand as shown below. Meditate :Now meditate for a few minutes to relax your mind and body. Any type of meditation goes well but your mind must be completely calm and peace. Mindful meditation is also a very good to consider. It would be more helpful if you can learn to open your hand chakras. Investigate on Object :Now take your object you want to work with and observe each and every details of it. Look at the object as you have never seen it before. Read the details of the object, how it looks, how it feels, how it smells and even how it tastes. Get the strong connection between you and the object. Without a connection, it is impossible to move it how hard you may try. Also, move the object with your hands to and fro for some time so that it imprints on to your subconscious mind. Establish a Connection :Now focus on the connection you have just made with the object and visualize in your mind. Remember and visualize how the object felt and how it moves keeping focus on it by gazing. Try to establish a connection that the object is within you. Visualize until you feel the object as one of your arms. This sounds impractical, but with training you can feel this connection. Move the Object :Once connection is made, now you can move the object in the same way you move your arms. This connection can also be used to bend objects. For bending an object, it would be easy if you have your object in your hands and making a connection. Once you are familiar with bending objects in your hands, then you can try to bend an object which is kept at a distance from you. You can also use an objects like pens or pencils which can roll easily. Another exercise you can use is bending a flame of a candle. As it is very light, it will be easy for you to manipulate fire before bending heavy objects. Telekinesis is not a magic thing. It is a science. Everything in the universe is energy and we are all made up of with the same energy. This energy helps us to make connection through our body with the object and helps us to manipulate it. We all do have this ability and we just need to awaken them. Instead of saying “to learn telekinesis“, it is better to say “to awake telekinesis” within us. If you’re serious regarding developing your powers, I in person suggest one E-Book Miracle Mastery that helps you to harness your psychic powers. But, before buying this book, please scan this review of this book. This book not only helps you in developing Telekinesis but also other psychic powers like Pyrokinesis, Electrokinesis, Levitation and much much more. |You can also get your Diploma course in psychic development to enhance your skills. For more details, check here.